I love going to the theatre, which might be apparent to anyone not new to the blog. 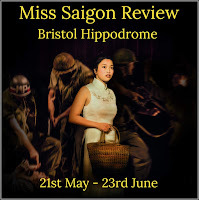 This is the main reason why I get so excited when we get invited to review performances at the Bristol Hippodrome, and Miss Saigon was no exception. What might be a bit more surprising is that, despite its 29 year history, I've never seen it before. It has an impressive reputation and is considered one of the greats, alongside Les Miserables, Phantom of the Opera and other stage masterpieces, and I've always wanted to see it. So the big question is, did it live up to its hype? Could a show almost in its 30th year still wow an audience? Damn right, it could. Miss Saigon was a show stopper from the opening number until the heart-wrenching end and each time I didn't think it could get any better, it surprised me once more. I have never seen a bad show at the Hippodrome, there is always something wonderful about a theatre performance, but this show was in a league of its own. The music was beautiful, the singing exquisite and the scenery breathtaking. The rousing songs were full of passion and emotion and performed to an amazing standard. 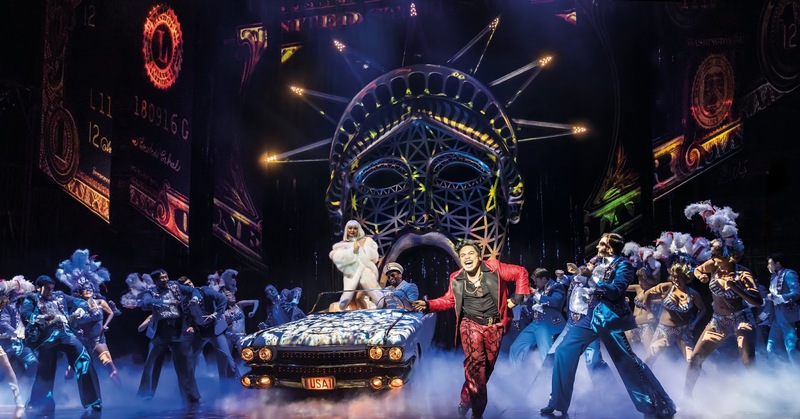 The incredible cast, who numbered almost 40, of 10 different nationalities, were perfect, from their costumes to their expertly choreographed dance numbers. I've never seen such a large cast at this theatre before and all the different costume changes must have taken a lot of organising, but the effect was spectacular. The choreography was so seamless that every scene flowed naturally and you almost forgot it was a huge production at all. 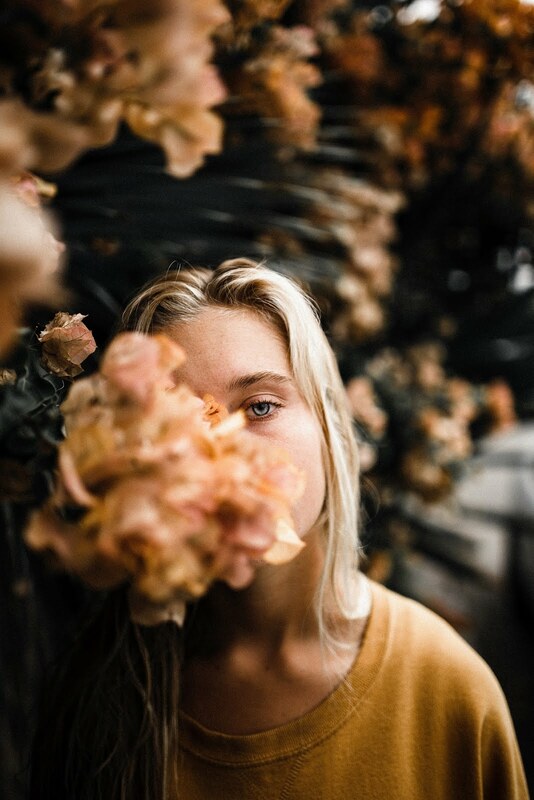 It was as if you were there. But even after all this, the most spectacular part of the show was possibly the props and scenery. There are 600 props used within the show and the whole show takes 100 people working through the night three days to put together. 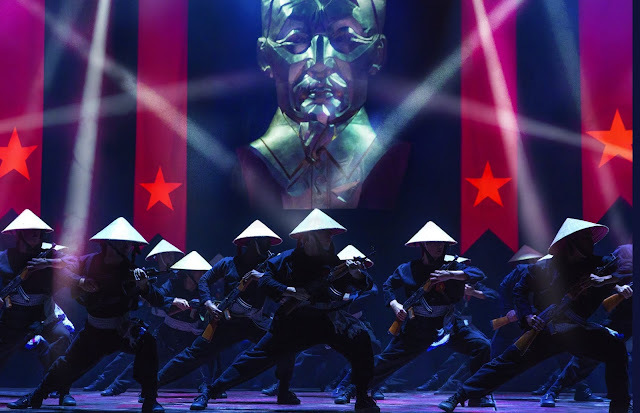 There are a lot of very different scenes throughout the course of this production and the stage direction and set design to make this flow are fantastic. The stage management team pulled out all the stops for this production and nothing was overlooked. There would be no corner-cutting or fakery, even the soldiers' flak jackets and helmets were original and had been used in action. The authenticity of the props was clearly very important, so they even dropped in a 3 ton helicopter. Oh yes. The scenery was so convincing, you could be catapulted from a brothel, to an army base, to the abandoned streets of post-war Vietnam with absolute ease and every scene drew you further and further into the story. And what a story. Following Kim's journey from a lonely life in a brothel to meeting the kind-hearted Chris, her story has so many twists and turns, it's an emotional roller-coaster from start to finish that can take your breath away at any moment. The emotion of this show builds and builds, thanks to the amazing performances of the cast. The exuberant Engineer lends a burst of unexpected comedy to the proceedings and is brilliantly portrayed by Red Concepcion. The love interests; Kim, played by Sooha Kim and Chris, played by Ashley Gilmour are perfectly cast and have a fantastic chemistry, giving their love scenes a depth and passion. 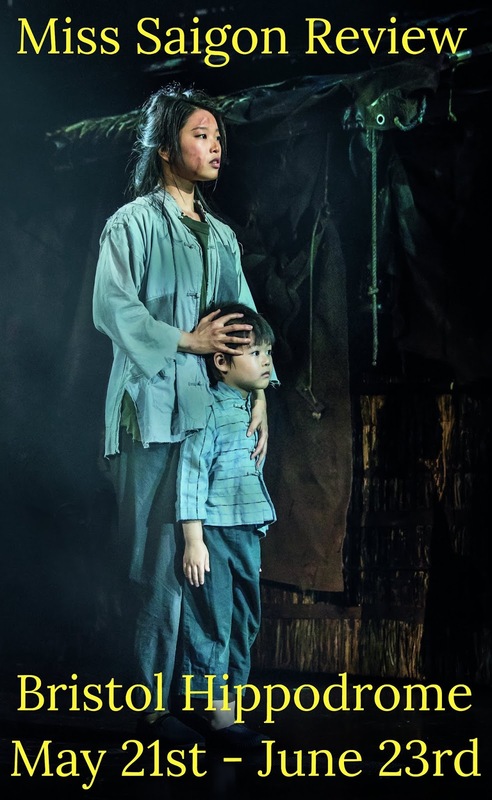 The show, however, was most definitely stolen by the four year old star playing Tam, who received a stand ovation all of his own for his subtle, yet perfect portrayal. 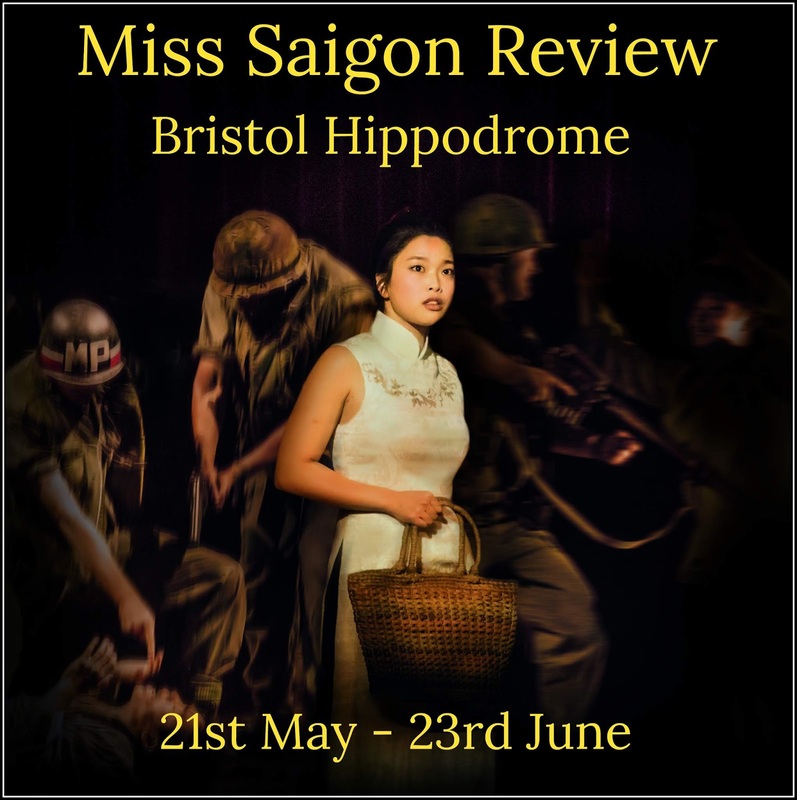 This is, as I've already said,the biggest touring production I've ever seen at the Hippodrome and if you get the chance, it is well worth seeing. It's intense, powerful, passionate, and, in the end, thought-provoking. It will surprise you and delight you along the way and you may well need quite a few tissues, but it is absolutely worth every sobbing moment. If you've never seen it before, this is an opportunity you can't miss and if you have seen it before? 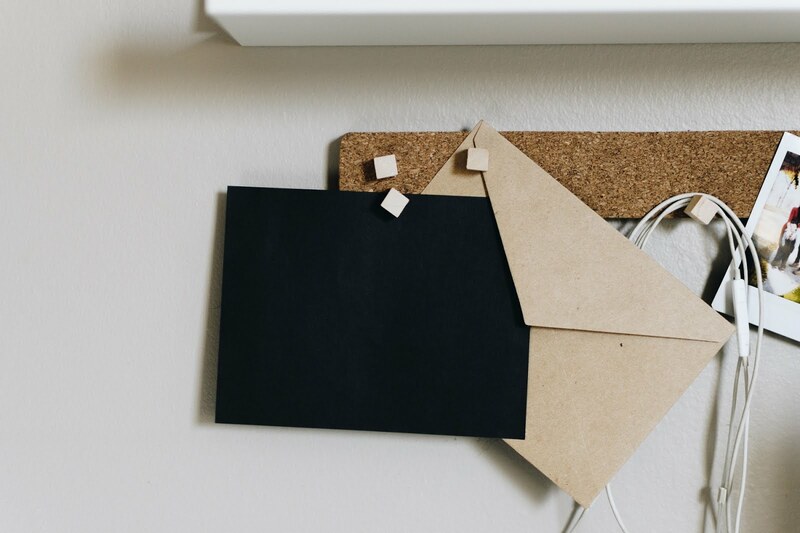 This new imagining of the classic story will make you fall in love with it all over again. Book your tickets here. This is such a classic! although I have never seen it and would love to as it looks like such a wonderful production. 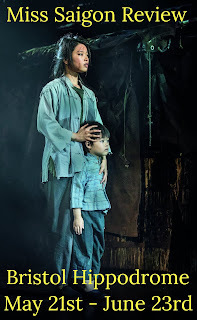 We always cry at Miss Saigon, find it very difficult to watch. The set design looks amazing in this performance! 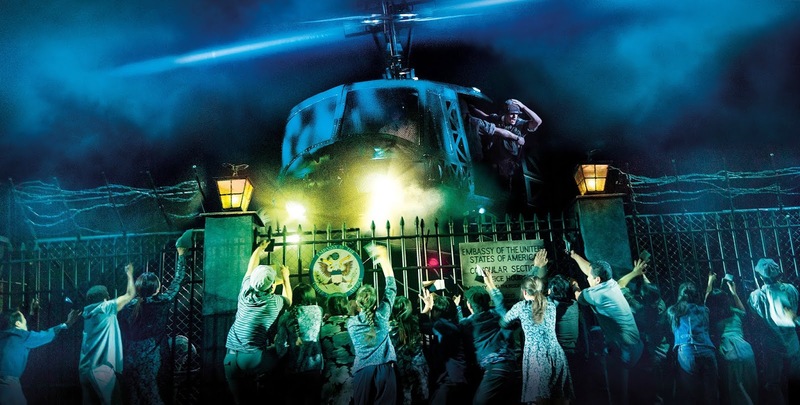 Oh wow I would LOVE to see Miss Saigon, I have heard it is amazing and it certainly looks to be! This is brilliant. I saw the show a few years ago and loved it. The set is fantastic and the actors do an amazing job. I love going to the theatre but I’ve yet to see this, now I’ve read your glowing review, I definitely want to!